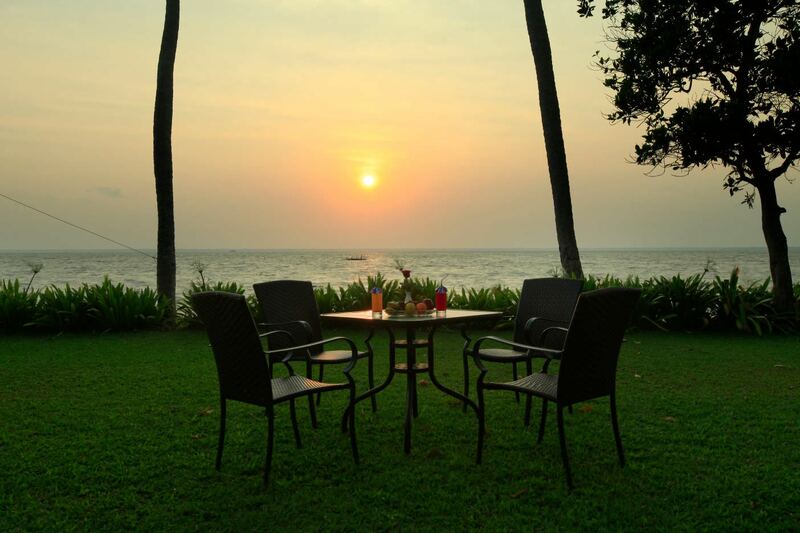 Nestled on the palm-fringed shores of Kerala’s famous lake, Lake Vembanad, covering an incredible 213 square kilometres. 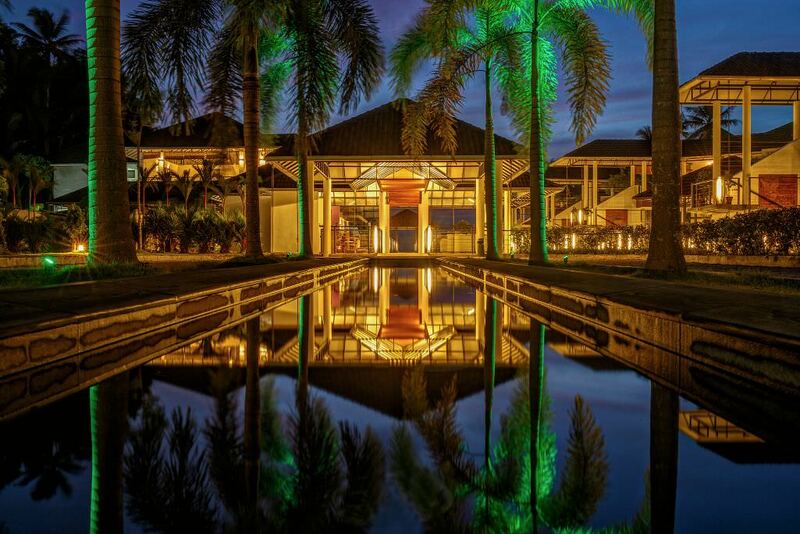 This beautiful 24 room boutique resort provides the perfect hideaway from which to explore this rich and verdant region. All rooms have a view of the lake. 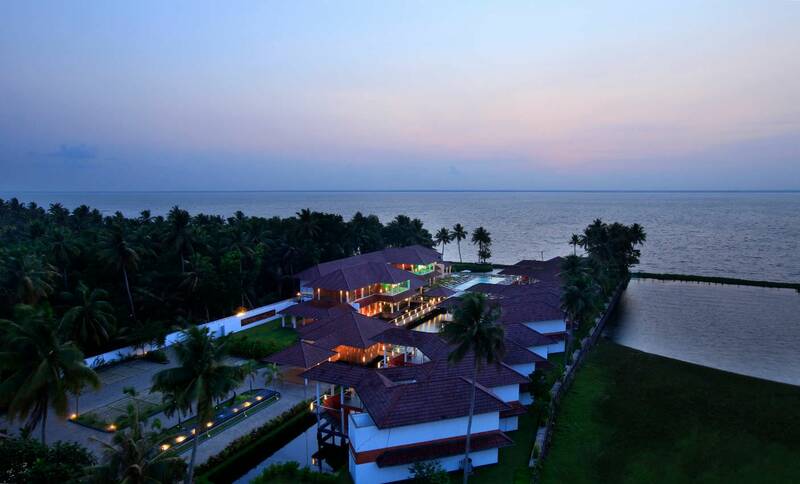 Karma Chakra sits in the picture-perfect village of Kumarakom on the banks of Vembanad, Kerala’s largest lake. 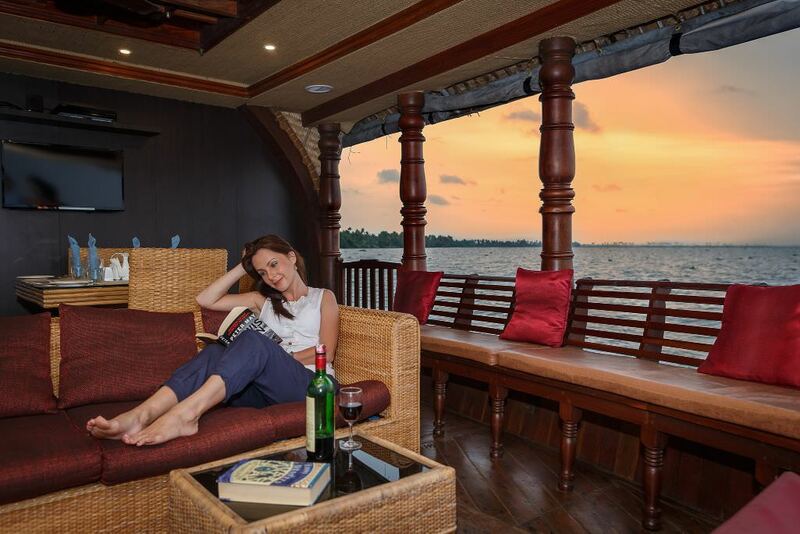 Head to the resort’s private jetty where we moor our own traditional Keralan house boat, with two double en suite bedrooms with a full crew and a cook. Special rates for cruises of varying length from two hours to an overnight apply to all our Members. Catch a fish and have it prepared and cooked for lunch. Kerala is a haven for nature-lovers: there are 12 wildlife sanctuaries and two national parks within easy reach of the resort. This is a landscape full of surprises. You may well spot a leopard, elephant or even a Bengal tiger while you’re here. 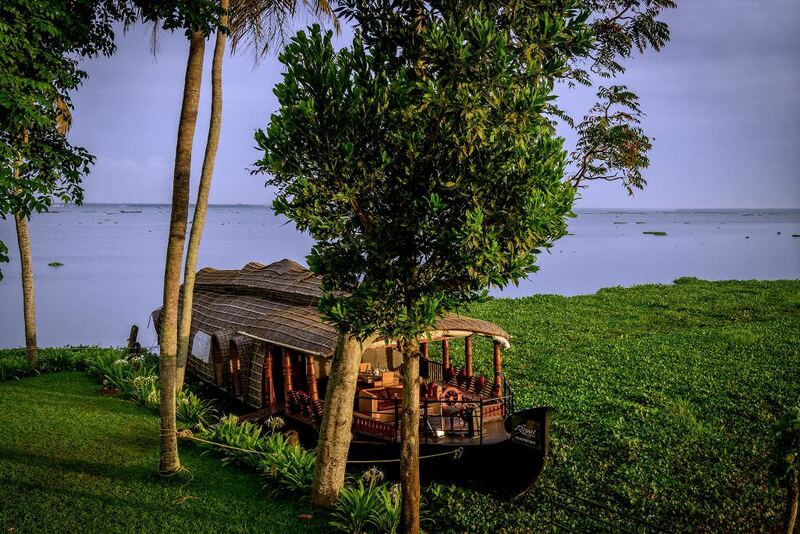 Kumarakom itself is a favourite haunt of beautiful migratory birds, such as the Siberian stork. Fly to Cochin international airport, from which Karma Chakra is a scenic 85km drive, taking approximately two hours. The nearest railway and bus stations are 12km away at Kottayam – around 40 minutes away by road. Airport and station transfers can be arranged on request. With incredible views across the lake and delicious local cuisine, this is the perfect spot for bird-watching. Watch our own gaggle of ducklings playfully swimming in the inner lake safely behind gates. 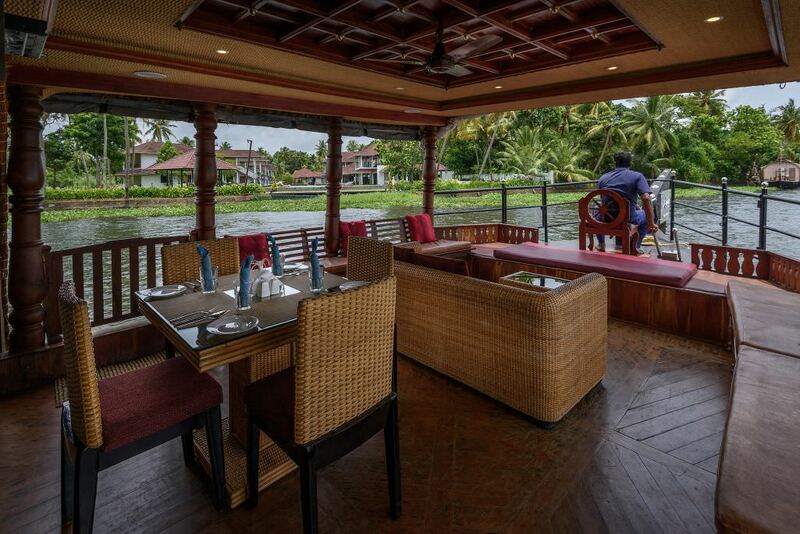 The ideal spot for catching up with friends old and new, our cosy lakeside bar specialises in tropical fruit cocktails, fine Indian wines and refreshing beers. And there’s a full-size snooker table for anyone who fancies a game. Incredible views across the lake from one storey up, Attwood’s is the place to party and misbehave. 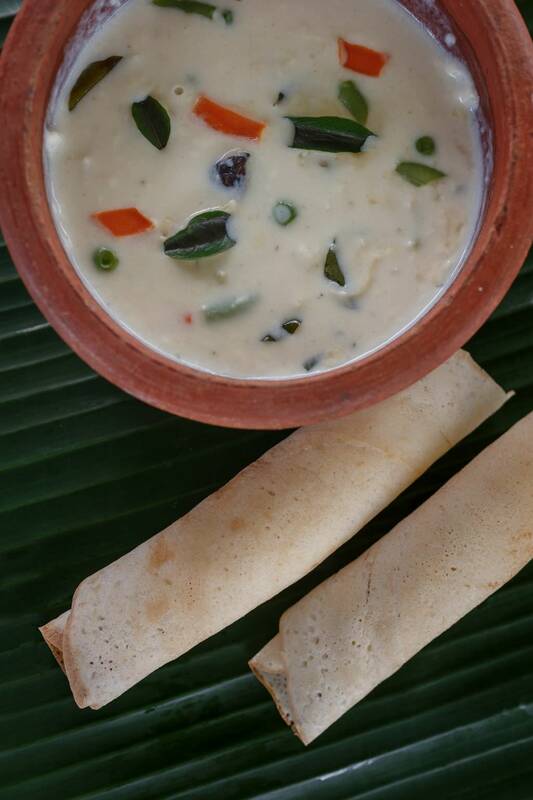 Take time out from your adventures to indulge in a traditional Keralite Ayurvedic massage to soothe body and soul. And relax. Our beautiful 21-metre infinity pool offers stunning views across the lake – so you can sight-see and people-watch while you take a dip. Spend a day with farmers or on country boats, coconut tree-climbing, net fishing, bow and arrow fishing and other traditional pursuits. Take your pick from our great selection of games and activities, including billiards, Carrom, chess and many more. Enjoy your down-time! Want to stick to your normal workout routine or try something new (with a view)? Our gym boasts state-of-the-art equipment and spectacular vistas across the lake. Need a new page-turner to read by the pool? Our small-but-perfectly-formed library is packed with books and periodicals for our guests to enjoy. 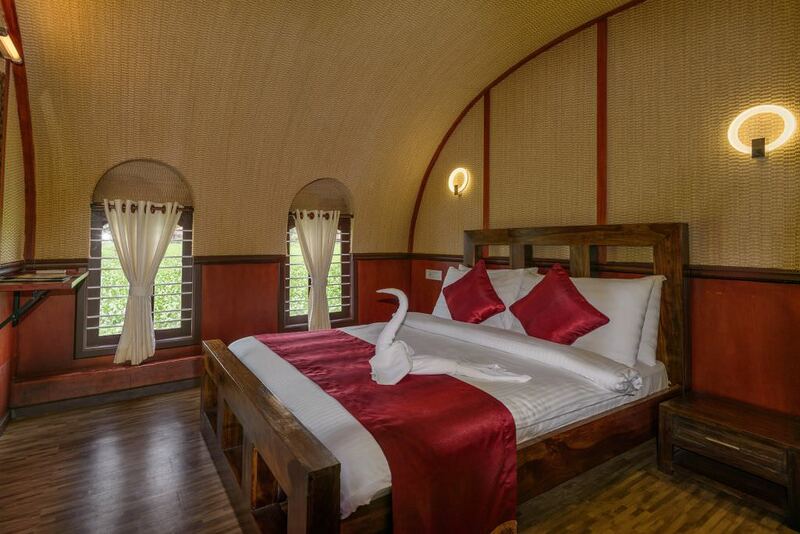 Karma Chakra has its own thatched-roof wooden houseboat “Karma Chakra House Boat” with two en suite double bedrooms, accessible from the resort’s private jetty just in front of the 21-metre infinity pool overlooking the great lake. 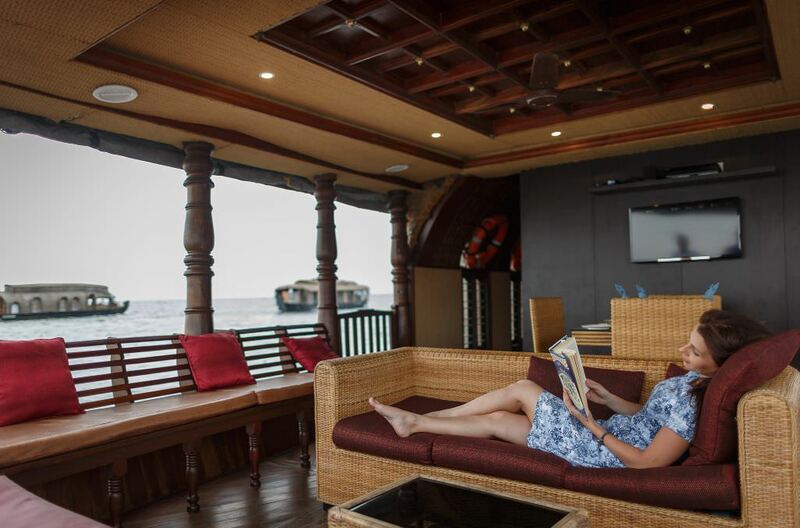 The Newly renovated boat with new Bamboo mat and fresh interiors, has all the creature comforts of a good hotel including furnished bedrooms, modern toilets, cozy living space, a kitchen and even a Home Theatre System. 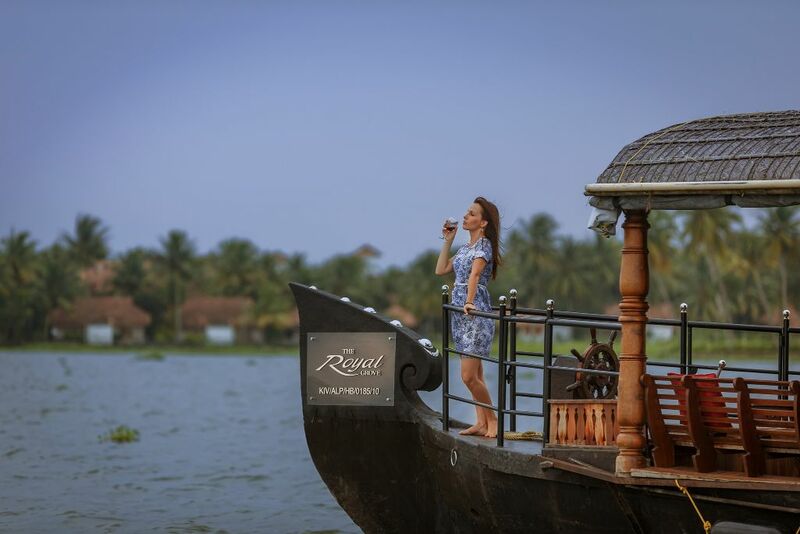 Step aboard and the native oars men will take you to an amazing world of delights and tranquillity with a blend of nature in its entire traditional splendour pampering all your senses and rejuvenating your body. Your home throughout your stay at Karma Chakra is in one of 24 luxurious air-conditioned rooms – all with private outdoor balconies. 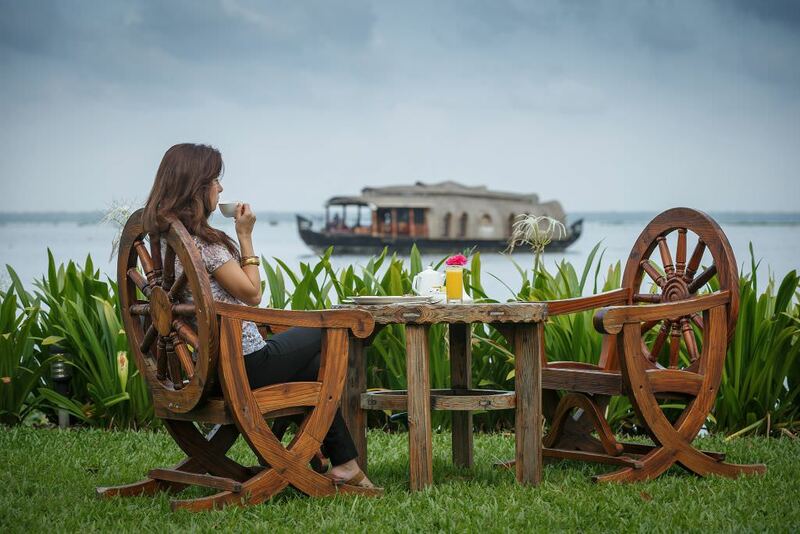 Elegantly furnished with traditional Keralan accents, they feature comfortable beds with plush bedding, stylish en-suite bathrooms, TVs, tea- and coffee-making facilities as well as well-stocked minibars and free internet access. All rooms are 45-square-metres offering plenty of space in which to spread out and relax. They all have balconies that over-look the lake, the ground floor rooms also have a garden area beyond the balcony. Our Waterside Restaurant has incredible views across the lake. Feast on local cuisine all procured at market or from local fishermen. 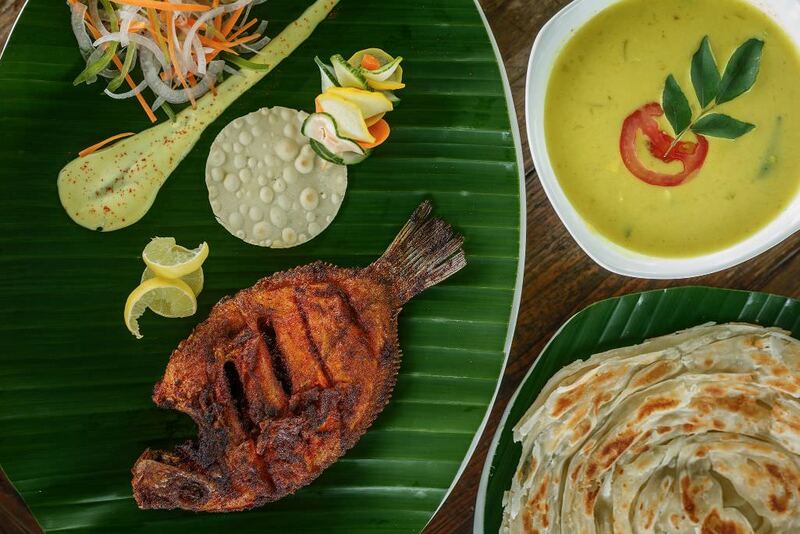 Try kerala’s special grilled Pearl Spot fish or local duck marinated in Keralan spices overnight. 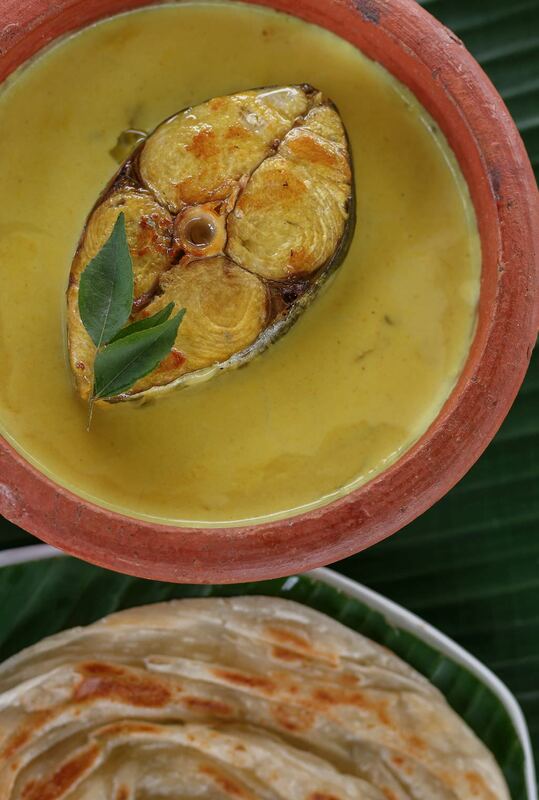 Karimeen Curry or Seer Fish soup will open up a whole new gastronomic world for you.